Wenn sich so viele nationale und internationale Schönheitsexperten zu einem When so many national and international beauty experts come together for a medical congress, it is a first-class opportunity to exchange first-hand information about the standards, trends and developments in the field of aesthetic medicine. The event was attended by top-level doctors of aesthetic dermatology, dermatosurgery and plastic surgery as well as journalists and representatives of the leading industry. 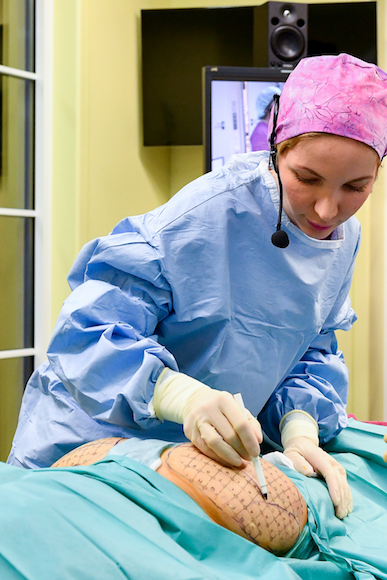 The “14th International Live Surgery Symposium” (6-9 December) was held under the scientific direction of doctors Sonja and Gerhard Sattler as well as University Professor Dr. Maurizio Podda. 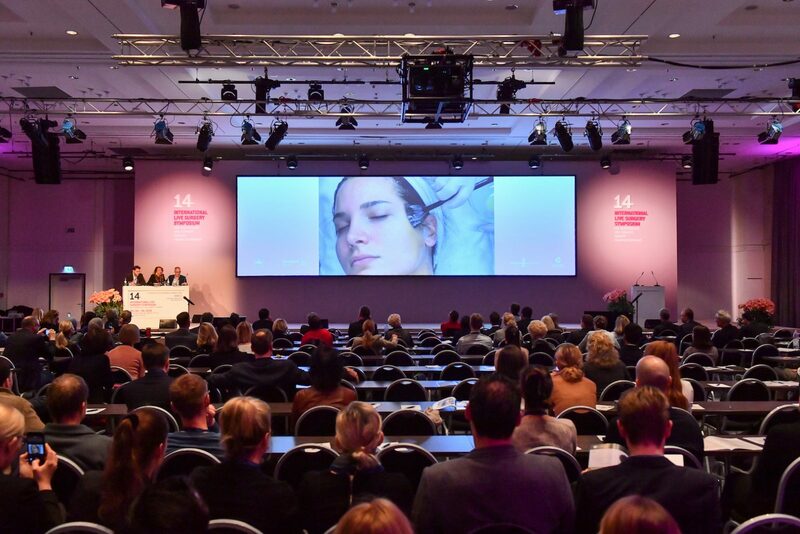 The most outstanding feature of this Medical Congress was the real-time transmission of over 70 live treatments and operations from the Rosenpark Klinik in Darmstadt directly to the Sheraton Frankfurt Airport Hotel. This was a major advantage and the lively discussions which ensued gave participants the opportunity to exchange information about state-of-the-art treatments and the latest methods. The Symposium also provides an ideal platform for developing personal networks as well as exchanging experiences and new impulses in discussions and encounters with doctors from all over the world. Culture&Cream was there first hand. 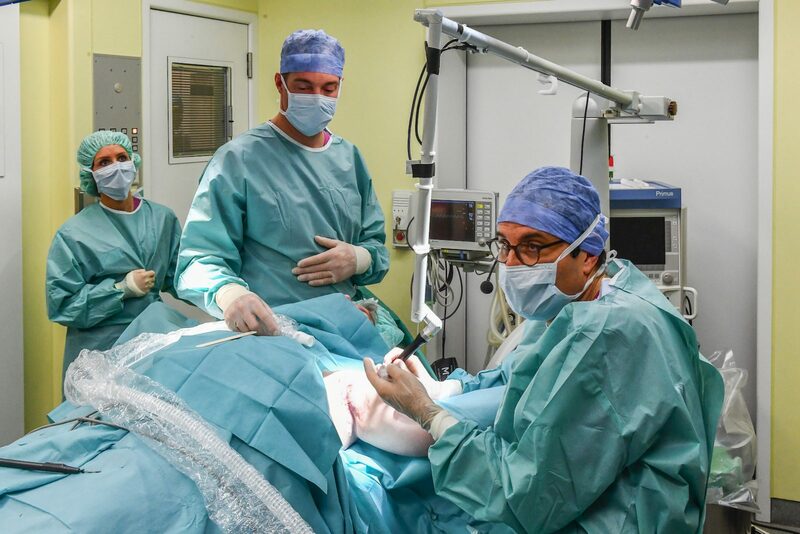 In addition to classical surgical methods such as the facelift, blepharoplasty (eyelid surgery) or liposuction, the focus at this Live Surgery Symposium was also on minimally invasive and non-invasive methods, procedures which have increased substantially in recent years. Safety and efficacy are top priorities here for physicians and patients alike and the choice of which technology is suitable for whom requires a broad spectrum of knowledge, experience and professional competence. In facial rejuvenation without the use of a scalpel, aesthetic combination procedures such as botulinum treatments, subcutaneous wrinkle injections with fillers, lasers, suture lifts, ultrasound and radiofrequency are becoming increasingly important. “In the field of aesthetic medicine, we are presently so far along with our accumulated experience that we can now offer patients much more than just a single surgical treatment. The minimally invasive spectrum enables the practitioner to achieve a similar, if not even better result within an individual combination of several procedures than with a single treatment,” said Congress President Dr. Sonja Sattler. Treatments such as micro-needling, for example, where the skin is stimulated with micro-fine needles to encourage collagen production, are combined with a hydra-facial treatment, which incorporates cleansing, moisturization and refining. This makes the skin firmer and more radiant. Plasma Technology is a new, gentle method for smoothing the area around the eyes and treating drooping eyelids. Here, the tissue is selectively heated with ionized gas so that it contracts. 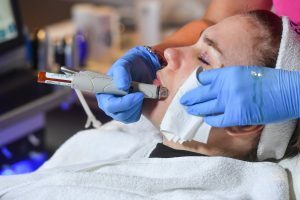 Doctors also have a wide range of options for treating acne, ranging from the more superficial treatment with the derma-roller to mechanical and chemical peelings to the individually adjustable laser. The choice of treatment depends on the nature of the acne scars. Since most patients nowadays wish to be active again immediately without extended down-time, gentle body shaping methods for fat reduction and to combat cellulite are becoming more and more popular. 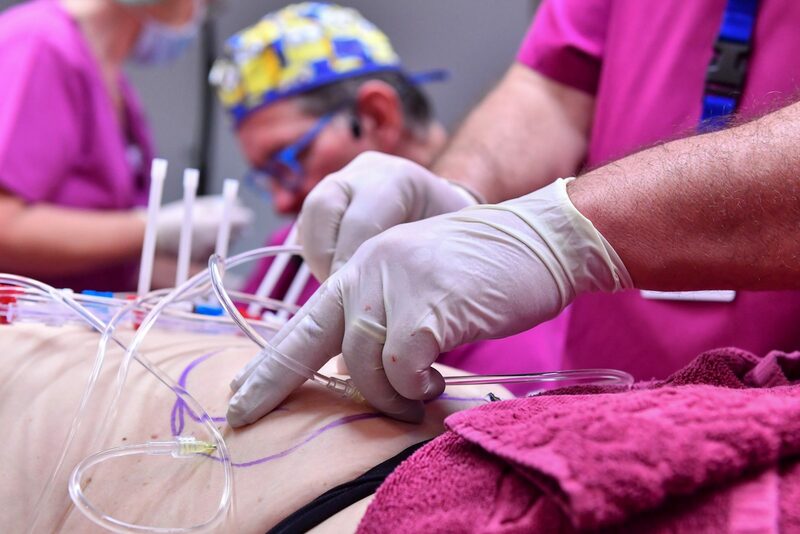 While cryolipolysis works with icy temperatures to break down fat cells, focused light is used in laser Lipolysis and high-frequency radio waves in radiofrequency Lipolysis to dissolve fat deposits. The depth and intensity can be adjusted to the patient’s needs. The Cellfina method is a modern minimally invasive procedure for a smoother skin. Shortening of the connective tissue in combination with varying degrees of fat cell swelling creates the dimpling appearance typical of cellulitis. In the Cellfina treatment, one dent after the other is precisely separated under the skin by a few millimeters. This allows the tissue in the affected areas to relax and return to a smoother starting position. Another important area to be considered is the removal of tattoos. Currently, beauticians commonly use lasers for the removal of tattoos. 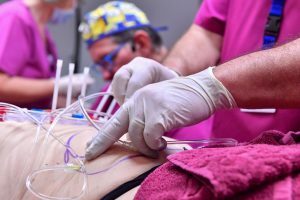 However, the Federal Council of Germany has now ruled that this procedure may only be carried out by medical practitioners in future. The latest minimally invasive procedures for face and body were shown live in numerous workshops, and the techniques and experiences subsequently discussed in groups. 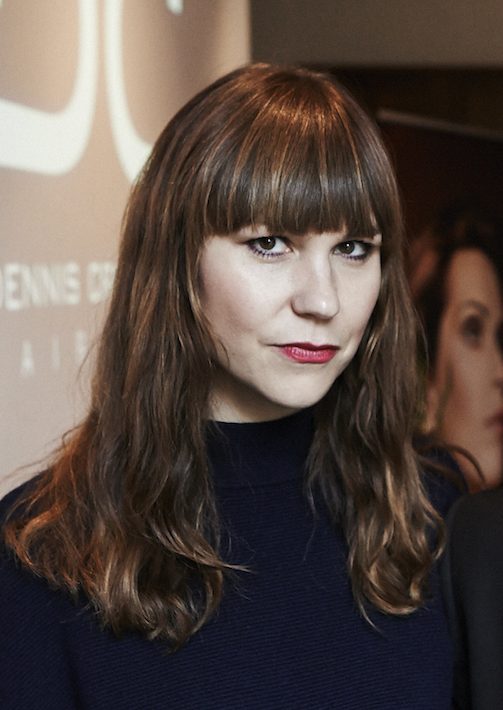 Stephanie Neubert has been in the beauty world of Grazia, Gala Style, Harper’s Bazaar and others for more than 13 years and has experienced a lot during this time. From unusual travel, great interviews, crazy events to extraordinary people – everything was there. Over the years her interest in skincare, nutrition and wellbeing topics has grown. „A healthy passion for beauty and a opinion are important to me“, says Stephanie, who has been living in Berlin for six years as a freelance journalist. Keyword Passion: Stephanie is a passionate vintage and vase collector, a cook with heart and soul and a fan of rich skin care oils.